Bauknight Law is a law firm led by attorney Julie Bauknight and located in Victoria, TX. Our firm can help with your divorce, child custody, child support, personal injury or criminal defense case. We are also here to help you with many other times in life, like when you want to start a business, draft or review a contract, adopt a child or even help someone become a citizen. Whatever your legal need, our attorney and staff stand ready to help. Our firm is your legal representative for the good times and the bad times. We are your attorney for life. What kind of Victoria, Texas Lawyer do you need? Click Here to Learn More. *The lawyer responsible for the content of this site is Julie Bauknight. The principal office is in Victoria, Texas. The law firm's attorneys are licensed to practice law in Texas by the Supreme Court of Texas. 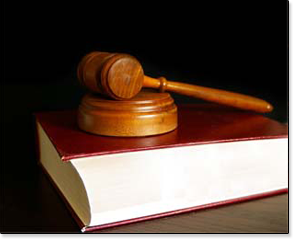 The attorneys are not Board Certified by the Texas Board of Legal Specialization.